Most people may know of only the red/purple variety of beetroot, but there are in fact several varieties available. 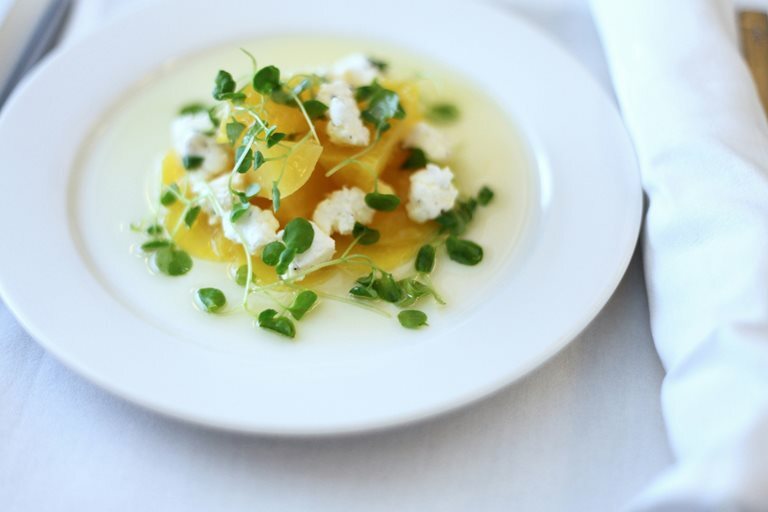 This beetroot salad recipe from Simon Hulstone is for golden beetroot salad. This salad is a marvellous vegetarian starter, particularly for any fan of goats cheese.